Not content with its Android-toting smartphone line-up and being the manufacturer behind the new Nexus 7 Google tablet, Asus is reportedly planning to launch a Chromebook within the next few months. The rumour comes from Digitimes so a shovel of salt is advisable, but the backstory is a pretty compelling one: Asus is apparently having trouble shifting laptops to the 'back-to-school' market, and so it is looking to a cheaper, cloud-based Chromebook model to reinvigorate sales. What's more, with Android being a key element of Asus' mobile plans, Digitimes thinks the company is trying to get a headstart on the likely Android/Chrome OS union that could happen in 2014. But Asus has taken its time rocking up to the Chromebook party, which is probably because Chromebooks themselves have struggled to get off the ground. 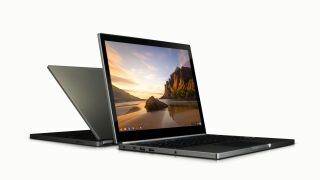 The low-cost, cloud-friendly laptops running Google's Chrome OS haven't exactly set the computing world aflame; will an Asus model help reverse those fortunes?